Welcome to Dr. Bruce Crowley’s office, located in Las Vegas, Nevada. Our dentist, Dr. Bruce E. Crowley, and his skilled dental team are eager to help you improve your oral health. Our greatest goal is to provide you with high-quality dental care in a comfortable, pleasant environment. We look forward to caring for you and your family. With over thirty years of experience in dentistry, Dr. Crowley is talented in family, restorative, and cosmetic dentistry. He and our entire dental team are committed to staying abreast of the latest advances in dentistry by constantly participating in continuing education. We strive to foster a friendly and caring atmosphere at our office, and we work hard to ensure that each patient has an enjoyable dental experience. 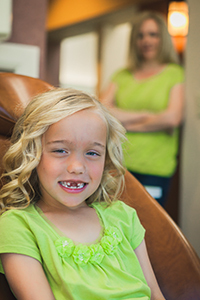 We welcome patients of all ages, including children; our dentist and dental staff members are gentle and are sure to put any patient at ease. Since 1984, Dr. Crowley has been proud to serve the communities of Las Vegas and Henderson, Nevada with outstanding, comprehensive dental care. We invite you to browse our website and call or visit our dental office to learn more about our dentist, our dental team, and our treatments. Our dental staff is ready to answer your questions and schedule your appointment; we are eager to improve your smile. © Copyright 2019 Bruce Crowley. All Rights Reserved.